Unlike the common belief that Bengali Cuisine is mostly about non-vegetarian dishes, there is a huge repertoire of Vegetarian dishes too. 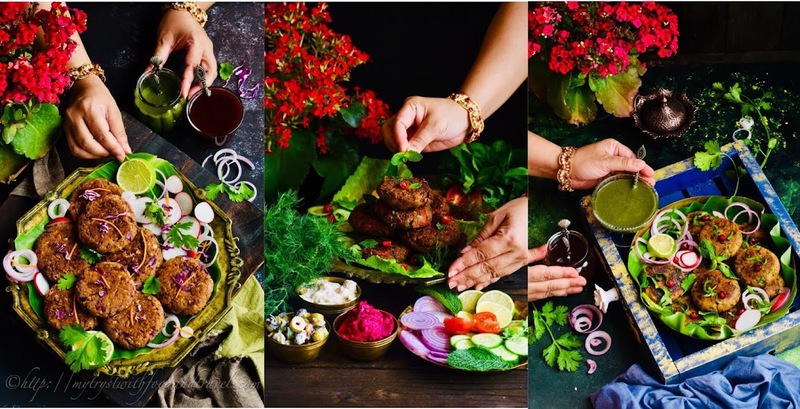 Many of my friends have asked me about these vegetarian dishes which abound Bengali cuisine and so I deceided to do this post and a series of posts after this one, to take you all, my dear readers into this treasure trove of Bengali Vegetarian fare. There are Blogger friends who are documenting and sharing vegetarian recipes and one such Blogger whom I immensely admire is Soma Saha Ray. Do check out her Blog Curry And Spice by clicking on the title of her Blog here. 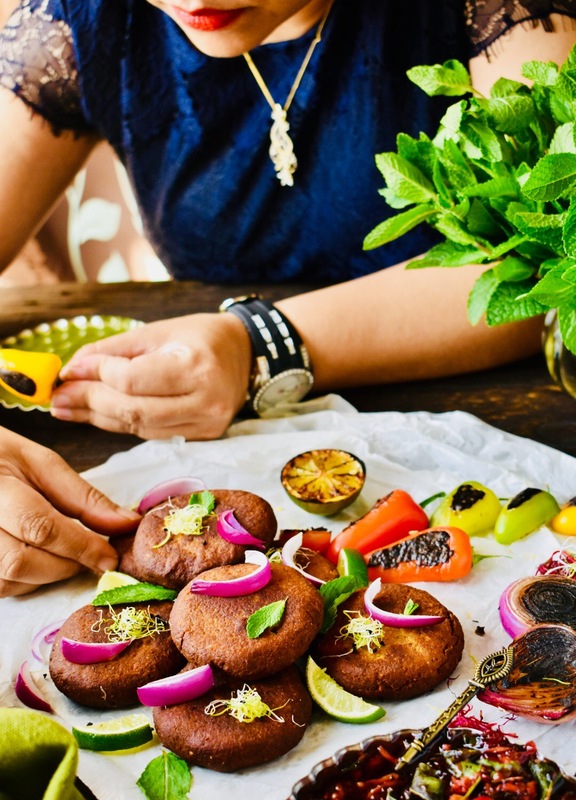 You will get many vegetarian Bengali dishes there right out of her kitchen and also those dishes which her Mother, Mother-in-law and grandmothers have passed on to her. I have a bunch of very beautiful childhood memories connected to today's dish, Posto Narkel Bora. As a little girl I loved the hustle bustle that happened in the kitchen. Those were the days where not many gadgets adorned the kitchen shelves. Cooking was a labour of love and the word " cook in a jiffy" probably didn't exist. Those were the times when the ladies of the house, were extremely skillful and dished out food in lesser time than we do with all the gadgets today. But they would never hurry up a dish. Every little detail would be catered to, which was possible as the amount of time that one could spend in the kitchen was much more compared to now. Coming back to the dish, Poppy Seeds, Coconut fritters, was very often made by my paternal grandmother. She hailed from Bangladesh and was known for her cooking skills and the dishes she put up regularly or on any special occasions. I regret the fact till today, that I never documented her recipes and though she has passed on many recipes to my mother and aunts but still many more have been lost with her demise. Images of her working on the shil nora or sil batta (the traditional Indian grinding stone ) with the saree covering her head, perfectly perched up in its place, the clinking of her bangles amidst the rolling and rumbling of the cylindrical grinding stone on the flat stone on which shallow holes had been manually punched to aid in the grinding process. She would sprinkle water intermittently on the grinding stone as she skilfully made batches after batches of divine smelling fresh spice mixes for cooking. This is her recipe and though she would have never approved my using the grinding machine to grind the poppy seeds and coconut, I know that she must be watching me from somewhere above and smiling that I am making the Posto Narkel Bora using her recipe. Posto Narkel Bora is normally served at the beginning of a Bengali meal and is a part of the Bhaja or fried dishes. It is served along with piping hot rice with a drizzle of ghee on top of the rice and a dal or lentil curry. These fritters are delightfully flavoured and even with the very few ingredients used makes for a very delicious starter. I will take you through all the steps of making Posto Narkel Bora systematically and I have simplified it so that you can easily make it in your kitchen. Khus khus or poppy seeds is an integral part of Bengali cuisine and many dishes are made using it. Even though poppy seeds are expensive they still feature prominently in Bengali cooking. So lets get started. 1) Soak the poppy seeds covered with water for at least half an hour. TIP : If you are in a hurry, soak the poppy seeds in hot water and grind after 10 ~ 15 minutes. Grate the coconut or cut it into small pieces for grinding. TIP : If you do not cut the coconut into thin slices or grate it, then grind the coconut first followed by the poppy seeds in the same grinder. Drain the water completely from the poppy seeds by passing them through a fine strainer. Leave the poppy seeds in the strainer for a couple of minutes, so that almost all the water drains out. In a grinder add poppy seeds, coconut, ginger paste or sliced sliced , green chillies and salt. Do not add water. Grind all the contents into a smooth paste. This can be a little tricky to grind without water, but a little patience will do the magic. If you have the traditional grinding stone, use it. The taste when ground using the grinding stone is unparalleled. 2) Transfer the poppy seeds, coconut paste into a bowl and add rice flour to it. TIP : To make rice flour take raw rice and whizz it in a grinder or food processor until it becomes a smooth powder. Next add the refined flour. Now mix the ingredients in the bowl till they form a homogeneous paste. TIP : You can use a spoon to mix the contents of the bowl, but I used my hands after washing them thoroughly. Its a little messy when you use your hands but I feel I can mix better in this case using my hands. Once the mixture is ready you can start shaping the poppy seeds coconut paste into fritters. 3) If you are using your hands, then wet them before starting to shape the fritters, or else the mixture will stick to your palm and you will not be able to transfer the fritter into the oil for frying. Scoop out about two table spoons of the mixture and shape it into a fritter. If you are using a spoon, then after scooping out the mixture, with the help of another spoon, flatten the mixture out like a fritter using the back of the second spoon. Shape the mixture into a fritter one after the other. Since this is a very soft mixture, you cannot assemble the fritters on a plate, as they will lose their shape and when you try to take one for frying it will break and you will again have to shape it again. So directly put the fritter into the oil. 4) Heat oil in a wok/kadai or pan. When it starts smoking reduce the heat to medium. Add the fritters one by one carefully into the oil. Press each fritter down with the back of your perforated spatula so that they also cook inside evenly. When one side of the fritter turns golden brown, turn the fritter over with your perforated spatula, to get the golden colour on the other side. To get the perfect colour increase the heat when your fritters are well done, towards the end. Take out the fritters with your perforated spatula and hold the spatula over the wok to drip off the excess oil. Finally transfer the fritters into a metal strainer or paper kitchen towel so that all the extra oil is done away with. 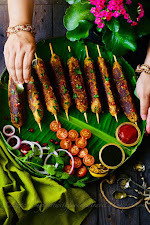 Serve the poppy seeds and coconut fritters hot along with rice, the bengali way or simply snack on them by dipping them in a mustard sauce like the bengali kasundi or any other. Drain the water completely from the poppy seeds by passing them through a fine strainer. Leave the poppy seeds in the strainer for a couple of minutes, so that almost all the water drains out. In a grinder add poppy seeds, coconut, ginger paste or sliced ginger, green chillies and salt. Do not add water. 3) If you are using your hands, then wet them before starting to shape the fritters, or else the mixture will stick to your palm and you will not be able to transfer the fritter into the oil for frying. Scoop out about two table spoons of the mixture and shape it into a fritter. If you are using a spoon, then after scooping out the mixture, with the help of another spoon, flatten the mixture out like a fritter using the back of the second spoon.